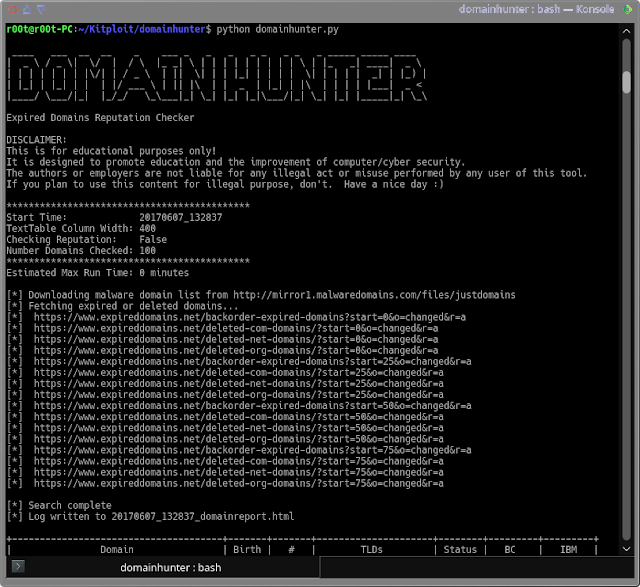 Domain name selection is an important aspect of preparation for penetration tests and especially Red Team engagements. Commonly, domains that were used previously for benign purposes and were properly categorized can be purchased for only a few dollars. Such domains can allow a team to bypass reputation based web filters and network egress restrictions for phishing and C2 related tasks. 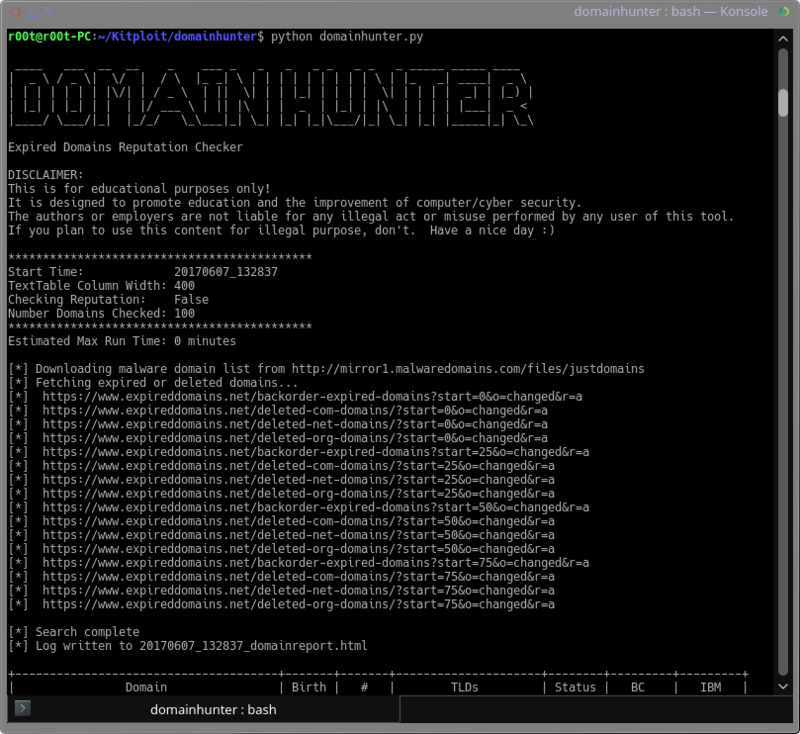 This Python based tool was written to quickly query the Expireddomains.net search engine for expired/available domains with a previous history of use. It then optionally queries for domain reputation against services like BlueCoat and IBM X-Force. The primary tool output is a timestamped HTML table style report. This is for educational purposes only! It is designed to promote education and the improvement of computer/cyber security. The authors or employers are not liable for any illegal act or misuse performed by any user of this tool. [+] Dog.org.au is categorized as: Not found. [+] Dog.asia is categorized as: Not found. [+] HomeDog.net is categorized as: Not found. [+] PolyDogs.com is categorized as: Not found. [+] SaltyDog.it is categorized as: Not found.